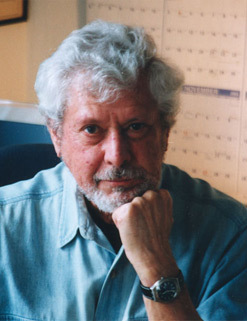 Russell Freedman is the author of more than fifty nonfiction books on subjects ranging from American history to animal behavior, and from Martha Graham to Marco Polo to Confucius. He won the Newbery Medal for Lincoln: A Photobiography (Houghton), Newbery Honors for his biographies of the Wright Brothers, Eleanor Roosevelt, and Marian Anderson, and the Laura Ingalls Wilder Medal for his lifetime contribution to children’s literature. Based in New York City, he travels widely to research his books. In recent years he has visited the temple courtyard in Qufu, China, where Confucius lectured some 2,500 years ago; the archaeological remains of Leif Eriksson’s thousand-year-old Viking settlement at the northern tip of Newfoundland; the saddlemaker’s workshop in Coupvray, France, where three-year-old Louis Braille accidentally blinded himself with an awl; and the rooming house across from Ford’s Theater in Washington, D.C., where Abraham Lincoln died in a four-poster bed that wasn’t long enough for his six-foot, four-inch frame. Over the years Freedman has visited the White House as a schoolboy tourist; as a researcher; and in 2001, as a guest at Washington’s National Book Festival; and in 2007, as a recipient of the National Humanities Medal. His “favorite” president, not surprisingly, is Abraham Lincoln, he reports, “because of Lincoln’s intellect, his melancholy, and not the least, because he wrote his own speeches.” Books on American history that Freedman admires include, among others, Esther Forbes’s Paul Revere and the World He Lived In, Henry Adams’s The Education of Henry Adams, and John Dos Passos’s fictional trilogy, U.S.A.